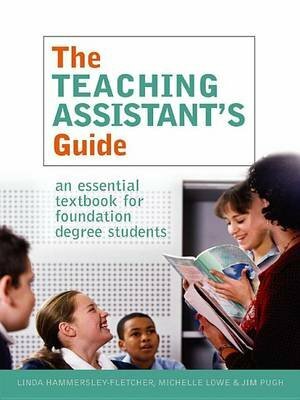 This textbook, designed to meet the needs of students on the teaching assistant foundation degree, provides an accessible overview of the teaching assistant's role, incorporating practical tasks that will challenge students to reflect on and improve their day-to-day practice. Set within a wider educational context, and full of thoroughly grounded advice throughout, this book includes: personal professional development - helping teaching assistants to understand their role and their workplace growth, development and learning - introducing the basic theories human development and learning behaviour management - exploring strategies that encourage and support appropriate behaviour today's curriculum and how children learn literacy, maths, science and technology understanding inclusive education, exploring access, participation and additional needs for specific groups of young people. With activities, task lists, discussion points, ideas, summary points and notes on further reading, this textbook will be the essential companion for all foundation degree students, as well as a useful handbook for teaching assistants in practice.